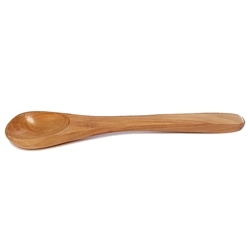 Our Medieval Style Wooden Spoon is carved from solid hardwood. This spoon replicates a typical early medieval eating utensil. 7 inches long.